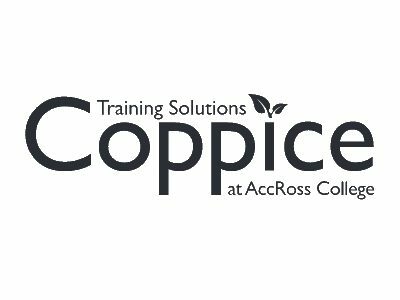 Coppice Training Solutions is recognised as a leading training provider in the North West of England. We are experts in delivering and designing training for businesses in a wide range of sectors. We work closely with hundreds of regional and national employers to develop the highly skilled, productive and loyal workforces of the future in a cost effective way. As one of the leading training providers in Pennine Lancashire, we have established links and partnerships across the region enabling you to access funding, information, grants and incentives, which can make a real difference to your business. Flexibility and customisation are key features of the service we offer. We’ll work with you to establish your exact needs and then deliver the training that’s right for you, at a time and place to suit your requirements. Whether you want scheduled or customised programmes, national qualifications or bespoke training solutions, we’ve got it all. Our one top tip is to believe passionately in your success, use as much resource and support as you can to achieve it and don’t feel that you have to do everything yourself. The most successful business people are the ones that bring in experts to help them grow. Who doesn’t love Lancashire! With a wealth of industry and an abundance of outstanding schools, colleges, training providers and universities developing the workforce of tomorrow, it’s a beautiful part of the world where your business can thrive. We believe that being a part of a one stop shop support network for businesses across the county, is the best way to grow our economy. It’s a brilliant project that brings together experts in every field who can work together to truly make a difference.